Latest release from the relentless promoter of traditional country music Martin Žák has just seen the light of day. This time we have a DVD called Stará Almara in Mlejn containing a two-hour-long concert. Joining Martin Žák and his band Stará Almara are the popular „cimrmanologist“ Miloň Čepelka, songstress Věra Štaiglová and temperamental dance group Dvorana Country Dancers led by Jan Pumpr. A varied program with songs, narration and dance will take you in pre-television era. Old forgotten ballads, jolly songs, fresh swinging melodies, atmosphere of the old times and authentic musical instruments, like banjo, fiddle, Appalachian dulcimer, guitar, double bass, spoons, bones, limberjack will make you forget the everyday stress and trouble. Songs from this album used to be a common part of everyday life of settlers looking for a new home on American mainland. Martin’s stylish recording is this time crowned by the inimitable voice of songstress Věra Štaiglová, so listeners can enjoy the more subtle side of good old country music too. You will also hear authentic mountain fiddle played by one of the most prominent personalities of the pure old-time style, musician from Appalachian mountains Wayne Erbsen. This recording is accompanied with a fully illustrated booklet with lyrics, historical information about the songs and photos. 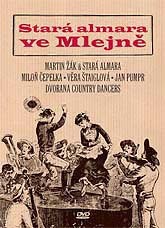 Video-recording on DVD with Martina Žák’s program Písně a příběhy ze stařičké stodoly in which you will see not only Martin and his band Stará Almara, but also Miloň Čepelka as narrator and dancing group Dvorana Country Dancers with a tremendous caller Jan Pumpr. For over 100 minutes we will take you to times of country-side hops in the era of settling the Appalachian mountains. Of course a wide variety of period musical instruments can be seen in the film. The whole show is illustrated with historical photos, stylish engravings and other attractive material. It is obvious that here is not only an entertaining programme with songs, narration and dance, but also a remarkable documentary. 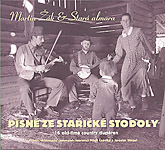 On this DVD you will also find a short picture movie called Martin Žák & Stará Almara objektivem Jana Šroubka (Martin Žák & Stará Almara through the lens of Jan Šroubek). The harvest is over, our wood-sheds are full up to ceilings, corn has been shucked, beans are dried… Just like every year in this season, it’s time to open the shabby door of our old barn and forget for a while all trouble. „Martin Žák and his wife Denisa, all of his players, Jan Pumpr and his fresh and energetic group of dancers are all people of immense talent. Album full of traditional American melodies and buoyant mountain whooping songs for both dancing and listening. Instruments featured in the recording: five-string banjo (clawhammer and other original playing styles), fiddle, guitar, bass fiddle, jaw harp, bones, spoons, limberjack; and also tap-dancing, stomping and various styles of feet shuffling. 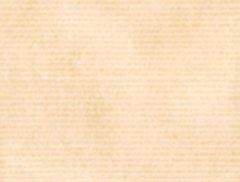 In the accompanying publication you will find a tale of the music of old American country-side, traditional musical instruments, period illustrations, stylish photos etc. Story Arkansaský cestovatel (Arkansas Traveler) is narrated by popular actors from Prague’s theatre named Divadlo Járy Cimrmana Miloň Čepelka and Jaroslav Weigel. „Whether you travel near or far, you will never find our old barn: it is only an imaginary place on a forgotten plot of land coming to life only on our recording. And also during all concerts of Martin Žák and his Stará Almara. But who knows? Perhaps once the right time will come and we will open the big squeaking shabby door of a genuine wooden building. It will totally resemble huts from the times when songs and melodies of old settlers sounded above the Appalachian mountains. The tones that will be heard through hills and valleys will tell everybody that harvest is finished – and now it’s time for some fun.